Wow! ezbuy 11.11 Craziest Sales & Ship Your Items with PRIME at Only RM8.80. The BIG DAY of ezbuy 11.11.18 massive global shopping fiesta is back! Huge discount on products when you shop on November 11th. Download ezbuy app& enjoy 11.11 sale. For new sign ups, you will be entitled with RM15 off. Seriously??? Yes! 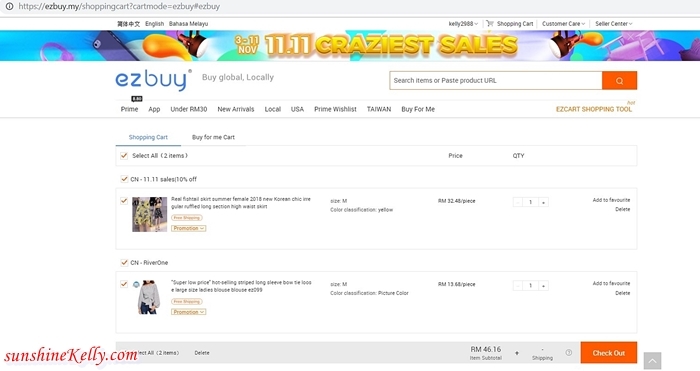 that’s right when I was browsing ezbuy.my 11.11 Craziest Sales site I came across so many irresistible items at unbelievable price. What are you waiting for?? Oh yes!!! Of course I bought some of my favourite items and I added some into my cart. Shall wait for the clock to tick at 12am on 11.11, I can’t wait for more surprise from ezbuy 11.11 Craziest Sales! Plus you should check out their under RM10 deals too. 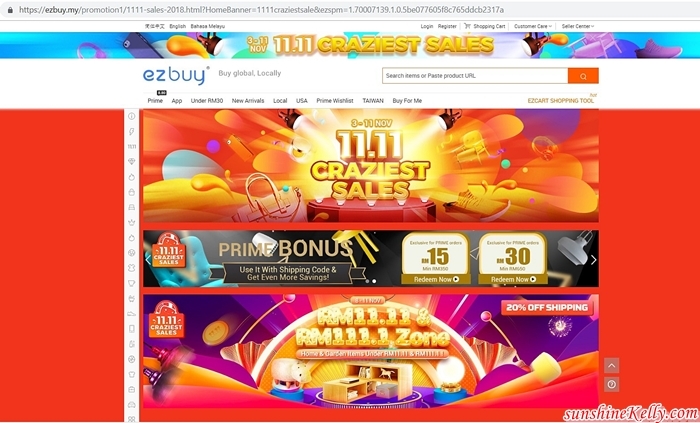 ezbuy 11.11 Craziest Sales is here! You know, my heart is beating faster than usual when I wrote this because the shopaholic is me just can’t wait to grab all the GREAT DEALS on that special day. No more waiting! I am excited and I hope you too can download ezbuy app & grab the discounts! The app is available in iOS and Andriod platform. 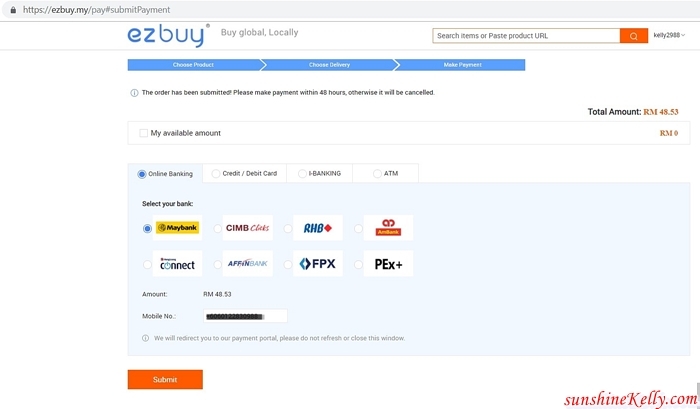 Alright for those who is new or first timer using ezbuy fret not their mobile and web platform perform seamlessly from search, check out and also payment processing. 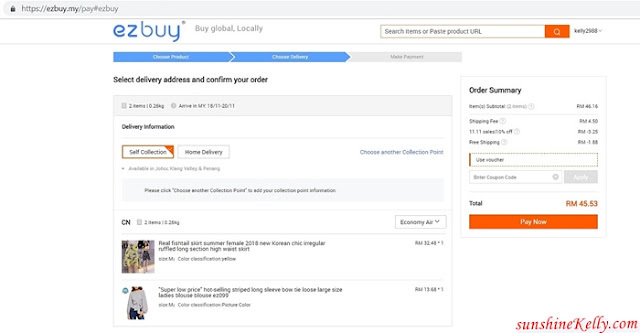 ezbuy best shopping with only 3 easy steps? What? That easy? Yes, check out how I do it. Register with mobile number and email address. ezbuy is also available in app store too. Done! Added all the items that I want into my shopping cart and let’s check out. At the check-out site of there is any voucher you can enter it. And then click pay now. There are many way you can make secure payment either via Online Banking, Credit, Debit Card, I-Banking, or via ATM. The payment processing and gateway is fast and seamless. Once payment is done, I received an email notification, so sit back relax and wait for my parcel to arrive. Haven’t sign up Prime? 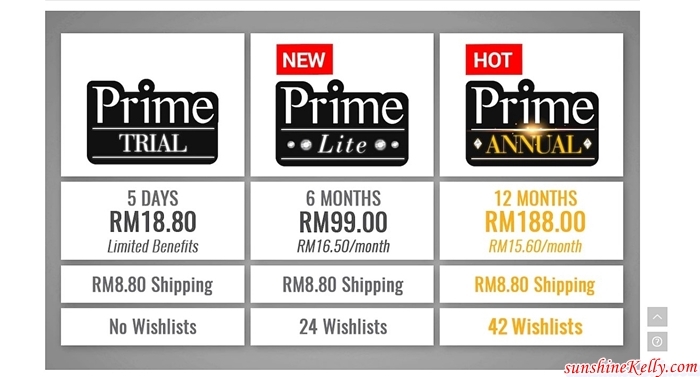 Sign up for Prime with ezbuy now! You can always ship item with Prime at only RM 8.80! Fastest priority shipping methods for prime! Isn’t that cheap, affordable & fast? Ship from China? USA? International? ONLY RM 8.80! Be a smart prime shopper today! 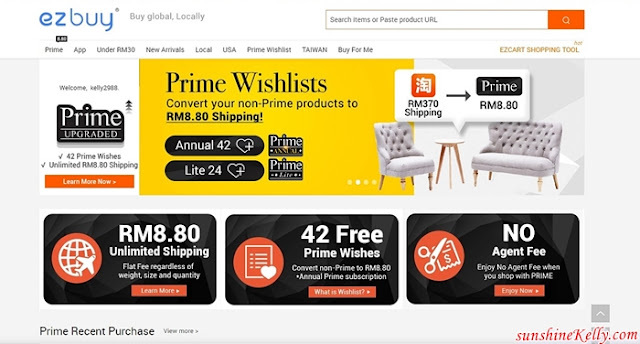 If you are a regular shopper or you are buying bulky items then be smart, sign up for PRIME because it’s going to help you save a lot of the shipping cost. The more you save the more you can shop right. I like this idea! 1. Browse over 10 million products up to 70% off local & enjoy 4x savings! 2. One Stop Shopping service with fast shipping, easy checkout and significantly no extra fees or hidden costs. 3. Lowest Shipping rate with Prime& cost RM8.80 flat rate. What’s more? Weight & size don't matter! Furniture or bulky item “NO PROBLEM” with ezbuy! Still thinking? What are you waiting for?? Go to ezbuy & shop your favorite at ezbuy.my now!